The distribution of the night sky brightness depends on the physical state of the atmospheric environment including turbidity, aerosol optics, cloud physics, but also geometrical relations such as the position of an observer with respect to the dominant light sources, cloud altitude, masking of horizon by obstacles and surrounding terrain. The methods we will use to solve the propagation of electromagnetic radiation emitted from heterogeneous ground-based light sources will account for all of the parameters and effects mentioned above. In the project we will develop a theoretical model and a numerical technique applicable to the retrieval of a City Emission Function (CEF) from the spectral sky radiances measured under clear sky conditions. Mathematically it is an inverse problem that will be solved using a regularization algorithm in which the minimization routines penalize non-smooth solutions and the radiant intensity pattern will be found subject to regularizing constraints. The theoretical research will be complemented with targeted field campaigns to identify the CEF for cities with different structures of artificial lights in order to verify our algorithms and to identify spectral behavior of CEF. The experiments will be made by using manual sky scanner supported by a microcontroller-based system for automated and continuous sky glow measurements. For over a decade excessive night lighting has been recognized as a serious, wasteful problem that led to formulation of research priorities in fighting the intrusion of light pollution. A special attention is paid to atmospheric optics and its environmental impacts. It is well recognized that clouds are the greatest modulators of downwelling diffuse radiation. Nevertheless, they remain the largest source of uncertainty in characterizing the light field under night-sky conditions. This is the first time a research project will treat these problems comprehensively by embracing statistically relevant cloud configurations. Concurrently, an interrelationship between radiance distributions and aerosol optics would be addressed theoretically, numerically, and experimentally following data gathering at a location surrounded by various sources of pollution, such as public transportation or factories in industrialized zones. These sources produce particles of different composition and morphology. Apart from clouds and aerosols, the temporal and spatial changes of a light field are determined by the bulk emission function of ground-based light sources (in this project City Emission Function is abbreviated CEF). However, for most of these sources it is becoming increasingly difficult to obtain the radiant intensity distribution as a function of zenith angle. Although knowledge of such emission patterns is extremely important for skyglow modelling, too little attention has been paid to the characterization of CEF. Therefore, following the radiative transfer principles we will develop a remote sensing technique for determining the mean emission function for a city. Continuously spreading night lighting results not only in high amounts of wasted energy but also in injudicious, harmful overillumination of natural environments. The artificial light produced by ground-based light sources causes undesirable phenomena, specifically sky glow, glare, light damaging the natural condition of night environment and light intruding human dwellings (also known as light trespass). Because of excessive lighting, today's night sky is much brighter (noisier) than a few years ago. A growth of light pollution is continuously identified in densely populated regions, e.g. in USA. Unfortunately, excessive night lighting is not only a problem of North American metropolitan areas, but nowadays it is a global phenomenon whose importance escalates also in the territory of Central Europe including Slovakia. 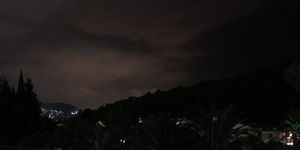 Therefore, a comprehensive treatment of light pollution is equally important at international as well as national levels (see light-pollution control initiatives http://www.darksky.org/ or http://www.cost-lonne.eu/ ). 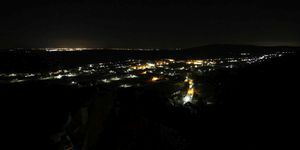 A set of measurements has shown that an increase of light pollution in inhabited centers need not be exactly related to the population growth, but it can be rather an effect of the type of light sources. In reality the outdoor lighting evolves more rapidly than population. Because of the diverse character of public light, much of outdoor light is radiated in all directions, and thus the urban sky glow is above all large cities in the world. There is now a substantial demand for technological development to help to minimize the amount of light unnecessarily emitted upward. Different technologies are under test and both scientists and engineers are experimenting to further understand the environmental costs of employing light sources and delivery systems that are traditionally used for public lighting. Characterizing light pollution is a multidisciplinary task involving illumination engineers, theoretical physicists, modelers , experimentalists and scientists from many perspectives who have professional interests in the effects of the lighting devices (positions, powers, spectra, photometry), the environment (aerosols, ground reflectance, topography, obstacles), but also the clouds that are significant modulators of downwelling radiation. It is well recognized that under clear-sky conditions light pollution is closely related to atmospheric turbidity, especially aerosol contamination. The identification of the importance to focus on cloud and aerosol impacts emerged as a priority challenge for light pollution community. Aerosols are ubiquitous in the atmosphere, with their effects on light pollution phenomena still highly uncertain due to lack of knowledge on the variability and quantification of the aerosol loading and how these aerosols interact with electromagnetic radiation. Though the pivotal effects of natural and manmade aerosols on radiative balance are recognized, they remain poorly quantified. While some progress has been made in the past several years, the atmospheric pollution and broken cloud arrays still remain the largest sources of uncertainty in characterizing light fields under night-sky conditions. The effect of broken cloud arrays on skyglow is theoretically unsolved problem that the first time will be treated in its complexity by the project members. In combination with the effect of non-spherical aerosols it represents a unique approach to make the theory and experimental results more consistent. The aerosol populations can differ in their scattering patterns and backscatter features while both are essential in forming the sky glow. It is also obvious that non-absorbing and strongly absorbing particles will scatter in a completely different manner. The same holds for spherical and non-spherical particles - the latter ones naturally occur in the atmosphere. Therefore, the optical behavior of the night sky can rarely be predicted by means of empirical methods based on idealized assumptions, even if cloudless conditions are considered exclusively. Many prediction methods have no theoretical foundation and notoriously lack any consideration of the physical characteristics of the ambient environment. Nevertheless, tools are urgently needed by environmental designers or city and suburban planners to simulate the night sky brightness accurately. Illuminating engineers who deal with public lighting systems, must also recognize the potentially adverse effects of night lighting characteristics on the environment. In recognition of these needs and imperatives legislation to control the level of diffuse nightlight has been implemented in some countries with the aim of eliminating excess and inappropriately configured lighting. This goal may be partially achieved simply by retrofitting inappropriate luminaire installations. Set of requirements to limit stray light are partially incorporated into Directive CIE 150:2003 “Guide on the limitation of the effects of obtrusive light from outdoor lighting installations”. Yet it is extremely difficult to predict luminance and illuminance levels accurately using only information on spatial distribution of individual lamps. That is because the radiant intensity distribution for upwardly directed urban beams depends on the physical deployment of these lamps in a heterogeneous urban environment, on the orography and reflectance of surrounding terrain and on many other locality-specific parameters. All these effects coalesce, resulting in a specific City Emission Function (CEF), which plays a decisive role in forming the sky radiance/luminance patterns under arbitrary meteorological conditions. Because the diffuse light of a night sky can influence the ground-based photometric or radiometric measurements, and the processing of recorded optical data, the researchers need CEF data to estimate the effects of artificial light on observed sky brightness. This project is aimed to retrieve CEF by remote sensing techniques that were never been used before to monitor bulk emissions of ground-based light sources. CEF and aerosol optics must be completed with the information specific to the broken cloud arrays otherwise the predictions of sky brightness distribution would remain inaccurate. Many observations over the world have shown that the dynamically evolving nightlight situations with individual clouds distributed over the whole sky vault occur very frequently in most geographical locations in any season. The downward radiance can vary quickly with the actual optical state of an atmosphere that is extremely unstable under cloudy conditions. Cloud fields typically form into non-static arrays with random geometries for which stochastic radiative transfer theory is well applicable, however, the system of equations to be solved is exceedingly arduous for practical usage. Therefore there is a substantial demand for theoretical development to help to minimize the computational effort and to make real-time numerical modeling possible. Undoubtedly the optical effects of clouds cannot simply be ignored, and they need to be incorporated even into simple theoretical models of sky radiance/luminance for engineering use. KOCIFAJ, Miroslav - SOLANO LAMPHAR, Héctor Antonio - KUNDRACIK, František. Retrieval of Garstang´s emission function from all-sky camera images. In Monthly Notices of the Royal Astronomical Society, 2015, vol. 453, p. 819-827. BARÁ, Salvador - RIBAS, Salvador J. - KOCIFAJ, Miroslav. Modal evaluation of the anthropogenic night sky brightness at arbitrary distances from a light source. In Journal of Optics, 2015, vol. 17, 105607, [9 p.]. KOCIFAJ, Miroslav - KÓMAR, Ladislav. A rapid approximate inversion of extinction data for partially absorbing particles. In Optik, 2015, vol. 126, p. 4832-4836. AUBÉ, Martin - KOCIFAJ, Miroslav - ZAMORANO, J. - SOLANO LAMPHAR, H. A. - SANCHEZ DE MIGUEL, A. The spectral amplification effect of clouds to the night sky radiance in Madrid. In Journal of Quantitative Spectroscopy & Radiative Transfer, 2016, vol. 181, p. 11-23. KOCIFAJ, Miroslav. A review of the theoretical and numerical approaches to modeling skyglow: Iterative approach to RTE, MSOS, and two-stream approximation. In Journal of Quantitative Spectroscopy & Radiative Transfer, 2016, vol. 181, p. 2-10. KOCIFAJ, Miroslav - KÓMAR, Ladislav. Modeling diffuse irradiance under arbitrary and homogeneous skies : Comparison and validation.. In Applied Energy, 2016, vol. 166, p. 117-127. KOCIFAJ, Miroslav - KÓMAR, Ladislav. A role of aerosol particles in forming urban skyglow and skyglow from distant cities. In Monthly Notices of the Royal Astronomical Society, 2016, vol. 458, p. 438-448. KOCIFAJ, Miroslav - PETRŽALA, Jaromír. Rapid approach to the quantitative determination of nocturnal ground irradiance in populated territories: a clear-sky case. In Monthly Notices of the Royal Astronomical Society, 2016, vol. 462, p. 2739-2746. KOCIFAJ, Miroslav - SOLANO LAMPHAR, H. A. Angular Emission Function of a City and Skyglow Modeling: A Critical Perspective. In Publications of the Astronomical Society of the Pacific, 2016, vol. 128, 124001. KOCIFAJ, Miroslav. Broadband and luminous extinction coefficients in a clean and dry atmosphere. In Journal of Quantitative Spectroscopy & Radiative Transfer, 2016, vol. 173, p. 20-25. KÓMAR, Ladislav - KOCIFAJ, Miroslav. Statistical cloud coverage as determined from sunshine duration: a model applicable in daylighting and solar energy forecasting. In Journal of Atmospheric and Solar-Terrestrial Physics, 2016, vol. 150, 1-8. SOLANO LAMPHAR, H. A. - KOCIFAJ, Miroslav. Urban artificial light emission function determined experimentally using night sky images. In Journal of Quantitative Spectroscopy & Radiative Transfer, 2016, vol. 181, p. 87-95. SOLANO LAMPHAR, H. A. - KOCIFAJ, Miroslav. Urban night-sky luminance due to different cloud types: A numerical experiment. In Lighting Research and Technology, 2016, vol. 48, p. 1017-1033. KÓMAR, Ladislav - PETRŽALA, Jaromír - KUNDRACIK, František. Vyhodnocovanie denného/nočného svetla oblohy z meraní celooblohovým skenerom. In 22nd International Poster Day and Institute of Hydrology Open Day - Bratislava : ÚH SAV, 2015, p. 115-122. KUNDRACIK, František - PETRŽALA, Jaromír. Meranie rušivého svetla nočnej oblohy s použitím DSLR snímok. In 22nd International Poster Day and Institute of Hydrology Open Day - Bratislava : ÚH SAV, 2015, p. 144-148. PETRŽALA, Jaromír - KÓMAR, Ladislav - KUNDRACIK, F. Estimation of Garstang emission function parameters from skyglow monitoring by all-sky camera. In LUMEN V4 : proceedings VI. IEEE lighting conference of the Visegrad countries. - 2016, p. 254-256. KOCIFAJ, Miroslav - KÓMAR, Ladislav - PETRŽALA, Jaromír. Pokročilá interpretácia SQM-meraní jasu nočnej oblohy. In Kurz osvětlovací techniky XXXII : sborník recenzovaných příspevů. - Ostrava : VŠB - Technická Univerzita Ostrava, 2016, s. 159-161. KÓMAR, Ladislav - KOCIFAJ, Miroslav - PETRŽALA, Jaromír. VIIRS - Satelitné dáta ako zdroj pre modelovanie svetelného znečistenia. In Kurz osvětlovací techniky XXXII : sborník recenzovaných příspevů. - Ostrava : VŠB - Technická Univerzita Ostrava, 2016, s. 162-167. KOCIFAJ, Miroslav - KUNDRACIK, F. Modeling the night sky brightness distribution via new SkyGlow Simulator. In LUMEN V4 : proceedings VI. IEEE lighting conference of the Visegrad countries. - 2016, p. 239-240. SkyGlow Simulator – a tool for modeling overcast and/or clear sky radiance and luminance patterns in night-time regime for arbitrarily sized & shaped city models. MSNsR_v5.exe - calculation core for luminance or spectral/integral radiance distribution in cases of clear or overcast night sky. KML2CTY - a tool for conversion of lines created in Google Earth into polygonial city representation. The tool is neccesary for radiance simulations in SkyGlow Simulator. sky.plt - execution file for GNUplot to vizualize sky radiance generated in Skyglow and MSNsR_v5. Circular City Creator - a tool for automatic city modeling as regular polygons. GPS2KML - a tool for GPS vizualization in Google Earth (e.g. luminaire positions in the city). ANALYSE_CITY_GPS - a tool for statistical calculations from GPS data of the city. MIXED_SPECTRUM - a tool for luminance analyzis of various light sources creating their weighted spectrum. SPCAVG - a tool for calculation of integral intesities in selected spectral intervals with the same narrowband. run_model3 - a tool for calculating the optical parameters of the atmosphere under various conditions. The tool is neccesary for MSNsR_v5.exe simulations. Sky Scanner Controller - a software package for movement controlling and data acquisition from portable sky scanner. SkyGlow Simulator can model overcast and/or clear sky radiance and luminance patterns in night-time regime for arbitrarily sized & shaped city models. For more detail read Guidelines that are part of SkyGlow v.5c distribution. 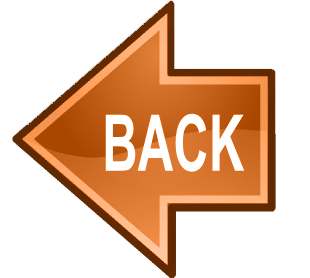 If you choose to use this tool, please send email to kocifaj@savba.sk ''registering'' as a user. Kocifaj, M. (2007). Light-pollution model for cloudy and cloudless night skies with ground-based light sources. Applied Optics 46, pp. 3013-3022. Kocifaj, M. (2008). Light pollution simulations for planar ground-based light sources. Applied Optics 47, pp. 792-798. Kocifaj, M., Aube, M., Kohut, I. (2010). The effect of spatial and spectral heterogeneity of ground-based light sources on night-sky radiances. Mon. Not. R. Astron. Soc. 409, pp. 1203-1212. Kocifaj, M. (2012). A numerical experiment on light pollution from distant sources. Mon. Not. R. Astron. Soc. 415, pp. 3609-3615. Kocifaj, M. (2014). Modeling the night-sky radiances and inversion of multi-angle and multi-spectral radiance data. Journal of Quantitative Spectroscopy & Radiative Transfer 139, pp. 35-42. Kocifaj, M. (2014). Night sky luminance under clear sky conditions: Theory vs. experiment. Journal of Quantitative Spectroscopy & Radiative Transfer 139, pp. 43-51. Kocifaj, M., Solano-Lamphar, H. A. (2014). Quantitative analysis of night skyglow amplification under cloudy conditions. Mon. Not. R. Astron. Soc. 443, pp. 3665-3674. Portable sky scanner is a self-constructed device which consists from the rotating system, measurement device (spectrometer or photomultiplier) and computer for controlling the movement and storing data. Rotation system consists of two stepper motors, one built in the base of the scanner and the second is located in the head with optical elements. The motion by motors is carried out for the required azimuthal angles and almucantars. Stepper motors have a fine step and are controlled by movement unit with DMX signal. Dimensions of the scanner’s main part are 18 cm x 17 cm x 23 cm what is practical to move to the desired place. Spectrometer connected to a scanner is used for the measurements during daytime to characterize the atmospheric state and a photomultiplier for measuring in nightime regime. The Sky Quality Meter-L measures the brightness of the night sky in magnitudes per square arcsecond. The Half Width Half Maximum (HWHM) of the angular sensitivity is ~10°. Maximum light sampling rate is 80 seconds and a point source ~20° and ~40° off-axis would register 3.0 and 5.0 magnitudes fainter, respectively while the sensitivity to a point source ~19° off-axis is a factor of 10 lower than on-axis. The spectral radiances will be measured by manual scanner operating at three wavelengths 450, 550, and 650 nm. The radiance will be measured in several horizontal circles to cover the whole sky (we prefer to use a grid constructed from horizontals with elevation angles 20, 40, 60, 80 degrees, and from meridian circles with steps of 30 degrees in the azimuth; a radiance in the zenith will be measured separately). This instrument also enables to measure the degree of polarization. An investigation of the type of polarization is useful because the additional information on nature of skyglow can be obtained and used later in retrieval of CEF. Ancillary measurements may serve as a basis for further data processing, e.g. the barometric pressure can be needed to separate Rayleigh scattering from aerosol scattering. To monitor the changes in air mass we will collect also daytime characteristics of atmospheric aerosols using multiwavelength radiometer SPM 1040 that operates at six narrow band filters: 377, 406, 520, 599, 749 and 857 nm. The radiometer can yield reliable data on the spectral optical thickness of the atmosphere. The optical measurements will be supported by the experimental device designed around a ST microelectronics microcontroller STM32F100 x 6 with ARM architecture. An important part of the device is a monolithic photodiode transimpedance amplifier that is used for average detection of ambient night lighting. The specific measuring process will be performed by a professional digital single lens reflex camera with a linear response broadband sensor that takes the pictures in RAW format. Spectrometer is intended to be integrated into Portable Sky Scanner in order to measure spectral sky radiance during a day. The measured data will form a basis for retrieval aerosol properties and later used in modeling night sky brightness in a local atmosphere. Spectrometer measures in range from 350 nm to 1000 nm with 650 enabled pixels, i.e. with spectral resolution of 1 nm. A photomultiplier is needed to make the measurements of extremely low intensities possible. The lightmeter can measure all natural sky-brightnesses. It measures fully automatic and up to 20 times per second. The lightmeter uses a commercial solar cell to detect and measure the light. The sensitivity of the lightmeter is such that all natural sky-light levels can be measured that includes day and night. Thus the lightmeter can measure the Sun as well as the light emitted from very dark pristine skies in remote locations. Nighttime measurements are done in a linear mode that can be easily converted to approximate Lux-values or received energy per unit surface, W/m2. Mishchenko MI, Travis LD, Lacis AA (2002). Scattering, Absorption, and Emission of Light by Small Particles, Cambridge University Press, Cambridge. Twomey S (2002). Introduction to the Mathematics of Inversion in Remote Sensing and Indirect Measurements. Dover Publications, Inc. Mineola, New York. Zuev VE, Titov GA (1996). Atmospheric Optics and Climate. Spektr, ISBN 5-7692-005-7.